BEGINNING/CONTINUING LEVEL: Basic yoga knowledge preferred but not necessary for this class. ADVANCED LEVEL: Student must be comfortable with the basics of shoulderstand. This class is a restorative class the last Wednesday of every month. For all classes, please bring a mat, strap, block, and blanket. Classes are ongoing so you may begin at any time. You may do makeups by attending any of the other Preserve classes at your level or lower. Laura’s classes are light and non-competitive. They are not fitness yoga. **This class is restorative the last Wednesday of every month. Beginners Welcome! Bring 3 blankets. For more information about any of the classes with Laura, contact her by email (Laura@muselan.com) or leave a message on her voicemail and she will return your call (612.399.6428). 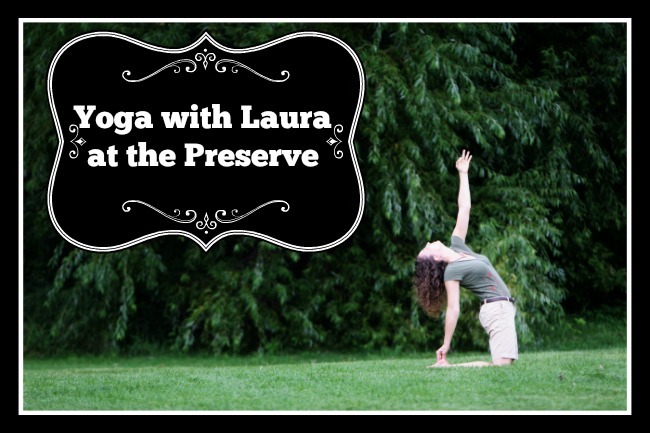 Laura teaches a monthly restorative yoga class at herWednesday night Advanced Class. It is the last Wednesday of every monthBeginners welcome! Directions: From the East: Take 169 South from 494. Take the Anderson Lakes Parkway exit and turn right. The Preserve Barn is about 2 miles down on the left. If you reach Preserve Blvd, you have gone about a city block too far. It is a bit difficult to spot off the road because it is set back. It is part of the Preserve complex that has a pool and tennis court. You will see the tennis court next to the road and a parking lot. The Barn is located just behind the parking lot. From the West: Take Hwy 5 to Prairie Center Road. Turn right (away from Home Depot). Follow for about 2 miles. Turn right on Preserve Blvd and left on Anderson Lakes Pkwy. It is about a half mile down the road. It is a bit difficult to spot off the road because it is set back. It is part of the Preserve complex that has a pool and tennis court. You will see the tennis court next to the road and a parking lot. The Barn is located just behind the parking lot.